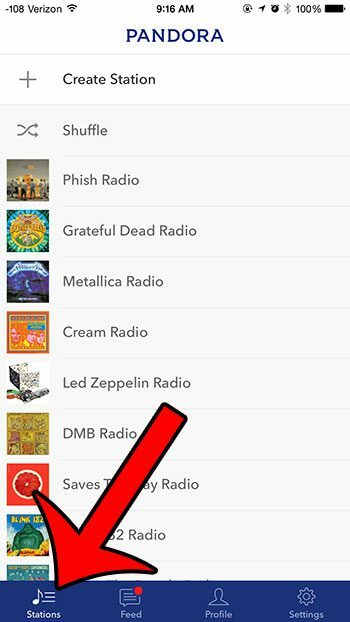 It’s very easy to add a new station in the Pandora app on your iPhone, but this can lead to a situation where you have too many stations. 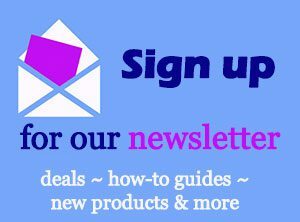 This can make it more difficult to locate the station that you are looking for, so you might be looking for a way to trim down your list of stations. 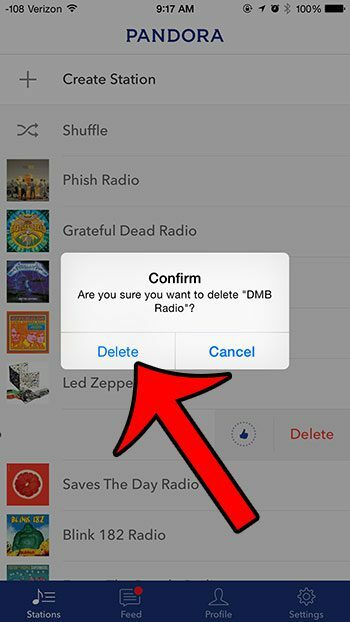 This can be accomplished by deleting stations from your Pandora account, which can be done through the iPhone app. 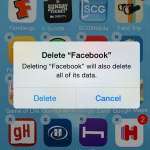 Our short guide below will show you how to start deleting unwanted stations. This article was written using an iPhone 6 Plus, in iOS 8. 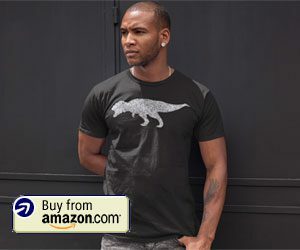 The version of the Pandora app used in this article was the most recent version available at the time this article was written. This guide assumes that you already have the Pandora app installed on your iPhone. Step 1: Open the Pandora app. Step 2: Select the Stations option at the bottom of the screen. 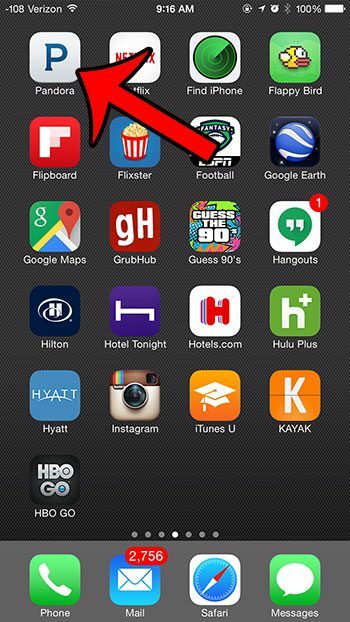 Step 3: Swipe left on the station that you wish to delete, then tap the Delete button. 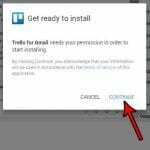 Step 4: Touch the Delete button to confirm that you want to delete the station from Pandora. 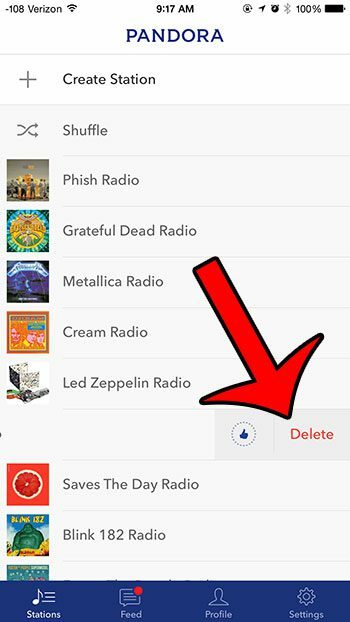 Note that stations in Pandora are tied to your account, so any stations that you delete through the iPhone app will also be deleted from other devices where you use the same Pandora account. Do you also use Spotify, but dislike how much of your cellular data it uses? Read here to learn how to disable cellular data usage for the Spotify app.